When happiness expert, Shawn Achor, hit the stage to deliver his keynote speech and officially kick-off RetailSpaces ‘18, his inspiring words really set the tone for the event. But as the annual retreat for store development, design and construction leaders got underway, it was abundantly clear that positivity was well and truly in the air.Thanks to a relentless barrage of over-the-top media coverage around a looming “retail apocalypse” for the past two years, those in the industry have been given plenty to be pessimistic about. One person fully embracing the renewed attitude was Sephora’s SVP of Real Estate and Property Development, Jeff Gaul, brandishing a hopeful term for the industry to get behind. “Retail is far from dead. I think we’re having a Retail Renaissance." “What’s going on right now makes me more excited than ever,” Gaul said. RetailSpaces attendees were nestled in the perfect environment to usher in a new retail age. Set against the backdrop of Scottsdale’s desert plains, the iconic Hotel Valley Ho was transformed into the influence hotel for the three-day affair. With so much sunshine beating down, Alasdair Lennox’s description of a “new dawn” for the industry made for a great fit. 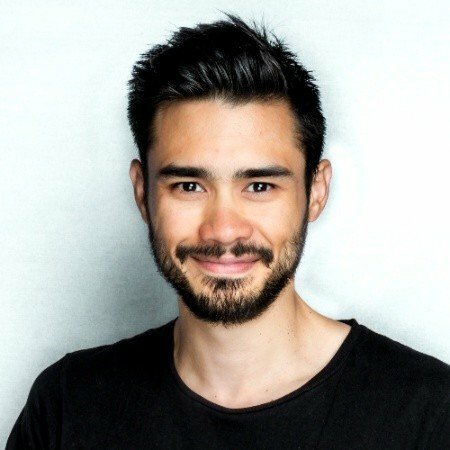 The Executive Creative Director of design firm, FITCH, said adopting fresh ideas and bold thinking may not always be an easy endeavor, but it’s promising to witness the paradigm shift underway. “The future is selling services. That’s a massive cultural change for an organization to get its head around. We need to be more focused on the emotion we’re looking to elicit from the shopper,” Lennox reasoned. As presentations rolled on across the two days, also very apparent was a willingness to abandon old approaches that no longer serve the industry. Store development leaders also heard from less usual suspects, gaining insight into the disruptive mindset at WeWork. While he remained tight-lipped on rumors the coworking giant will be making further inroads into retail, VP, Head of Concept Studio, Mick McConnell, drew on his extensive retail design track record to offer his take on the industry. 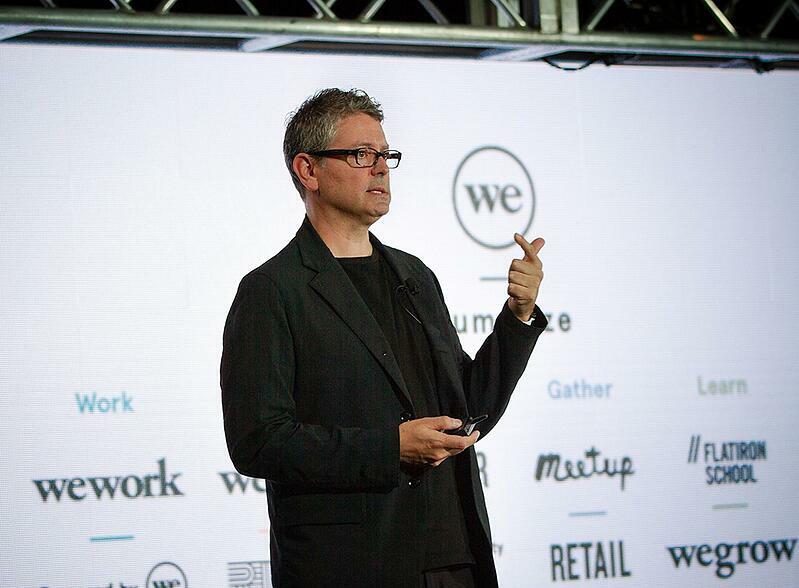 “Don’t spend so much time on paper — I think that’s what retailers need to learn." “They tend to hire the agencies, spend a lot of money on retainer-based systems for developing the perfect retail experience. There never is a perfect retail experience,” McConnell said. “Get changes out there. Try it, test it, pilot it." While attendees relished the exchange of ideas they’ve come to expect and enjoy at RetailSpaces, also on offer was the chance to connect with peers and competitors alike in a relaxed environment. 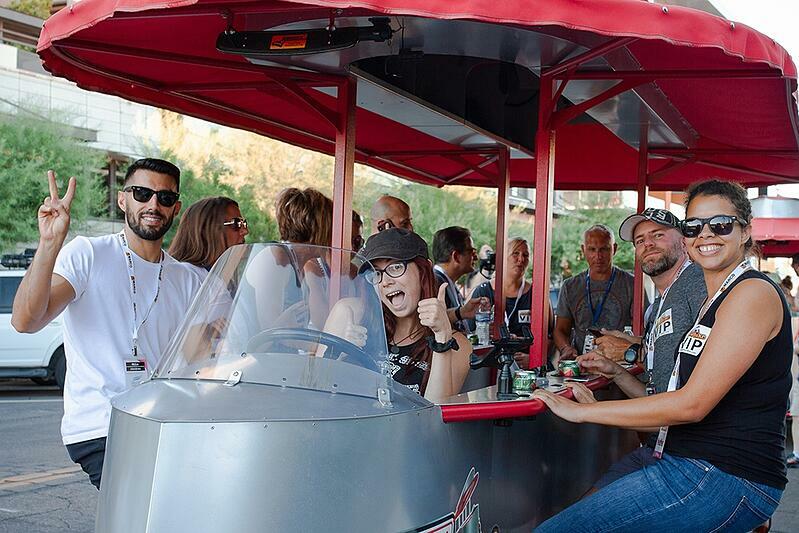 For brands like cannabis innovators, MedMen, the event was a rare opportunity to rub shoulders and forge new connections.A pedal-powered pub crawl and high-speed kart racing on day one helped break the ice while basking in the arid Arizona heat. The interactive networking helped free up conversation during roundtable discussions over the next two days, as store development heads came together to take on the big issues affecting retail. “These kinds of events are fabulous and RetailSpaces is incredible,” Warby Parker VP of Real Estate and Development, Kelly Radford, said. “Having key execs from various companies come together, compare notes, and share ideas really helps. If you live in a silo and don’t get out there to understand the challenges and see what solutions exist, it’s harder to stay current.”To solidify all the hard work during the day, attendees pulled on nylon mullet wigs and grabbed inflatable guitars for an 80s rock-themed shindig. 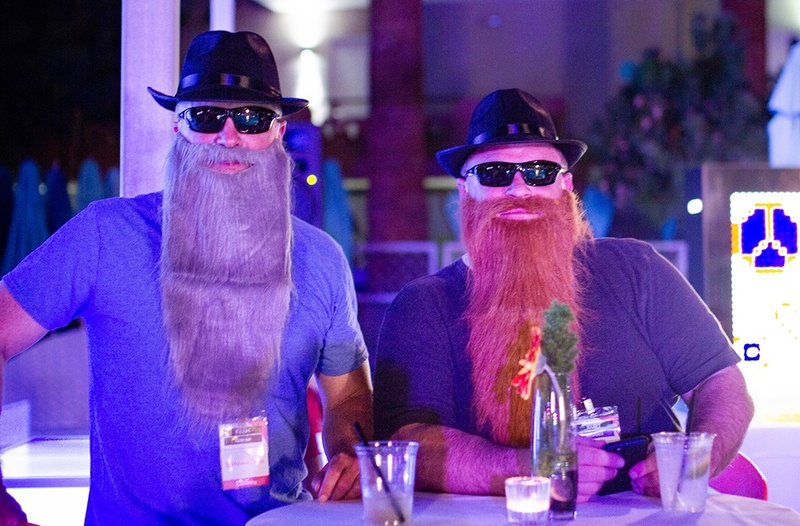 After mingling and dancing by the pool, the RetailSpaces Rocks! party continued with an intimate performance from multi-platinum singer-songwriter, Bret Michaels. 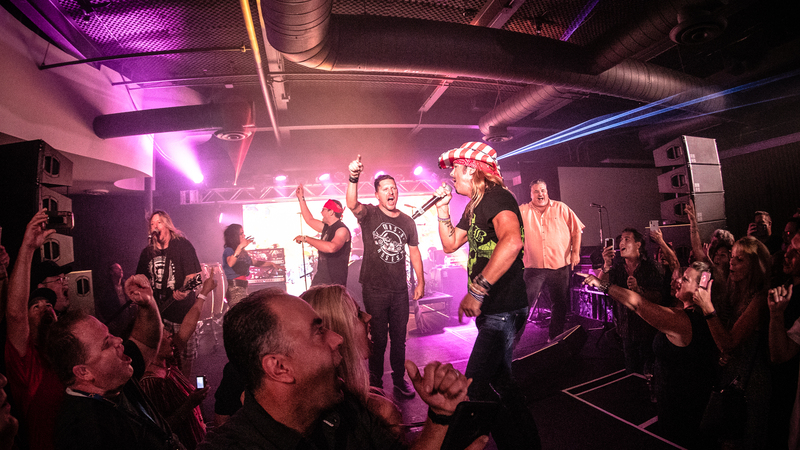 The Poison frontman wowed the crowd with a nostalgia-inducing set at the event’s crescendo — the perfect way to let off steam before heading back to the real world and continuing the task of reshaping retail. To keep abreast of the big thinking out of this year’s RetailSpaces, tune into updates from our blog. Not convinced yet? Check out our highlights video and get inspired!